A new portfolio for 2017! This new list maintains the August to August time cycle for 2017. The list begins August 2016, and the collection is completed August 2017 with follow up tracking data accumulating until 2018. The new 2017 list is based on the distribution of companies within eleven Morningstar sectors, while the 2016 list, recently completed, was based on the 9 sector YahooFinance and SeekingAlpha scheme. Thus, a do-over was required. Also the new list is composed entirely of “safe” dividend paying companies whose free cash flow yield is known to be as greater than their projected dividend yield. That, too required a new list, and limited the stocks that would be carried over. 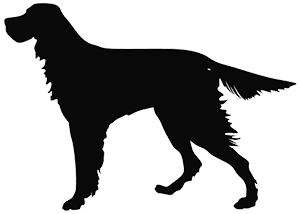 Creating new portfolio each year allows new dog selection criteria to be applied and tested. Thus holdings may be adjusted to new annual market conditions. The first quarter’s thirteen dogs will be announced and posted between November, 20 and 26th, 2016. This product is available on both Dividend Dogcatcher and the Seeking Alpha marketplace sites as duplicate postings. Memberships and viewings are not interchangeable due to separate payment policies. A dogs of the week Facebook forum will be opened to both sets of subscribers for consultation, collaboration snd commiseration. $27 per month or $217 per year.